For those of you who do not know what papyrus is it is a plant that grows in the wetlands of Egypt and throughout the Mediterranean region. The pith of the plant is sliced into pieces, soaked and then laid out to dry. Here is a great video if you are interested in viewing the process. 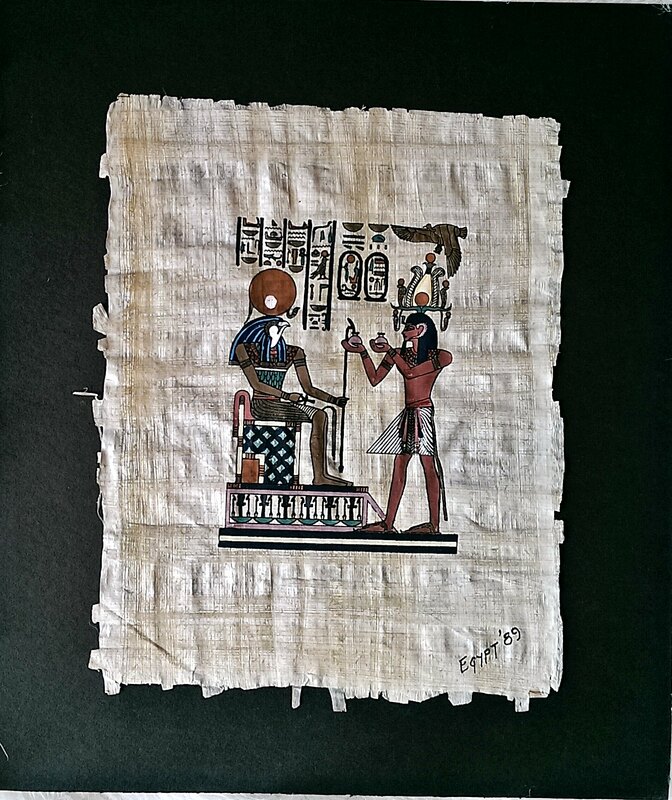 When I was younger, I made papyrus paper using newspaper sheets to achieve the woven paper effect. 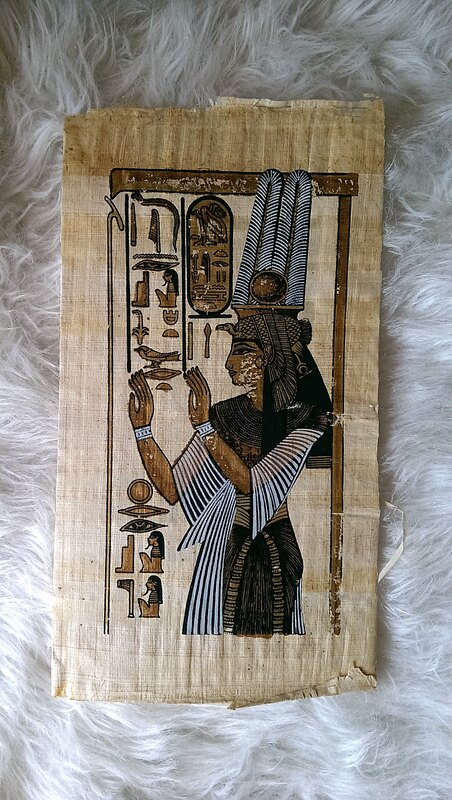 If you are a blog follower, you probably have noticed that I have a love for ancient Egyptian art and culture. 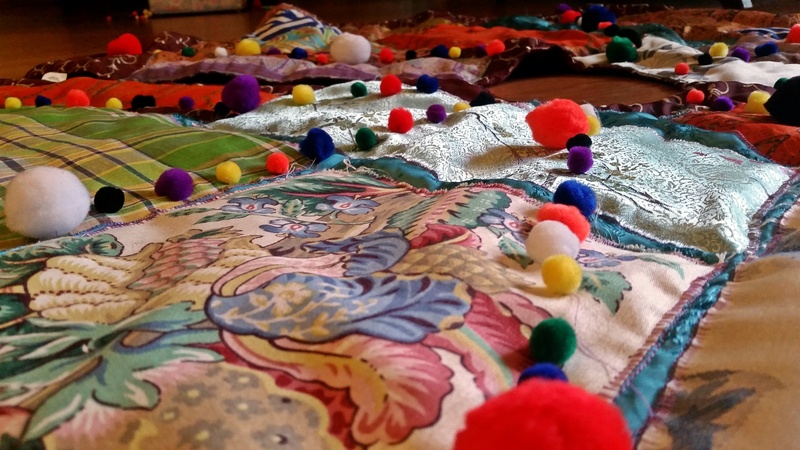 It started when I was younger, although I cannot pinpoint what triggered my interest. 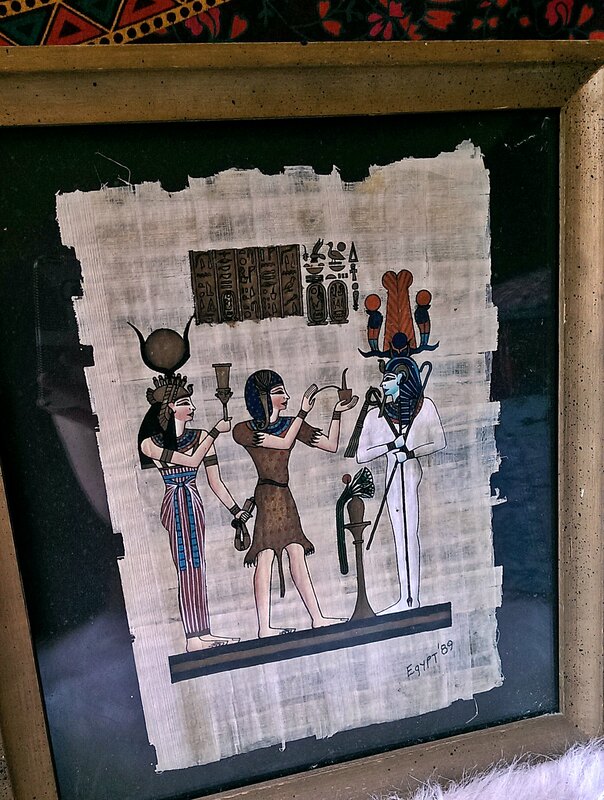 Growing up, the above papyrus, gifted by my grandparents from their recent trip to Egypt, hung in my parent’s house. 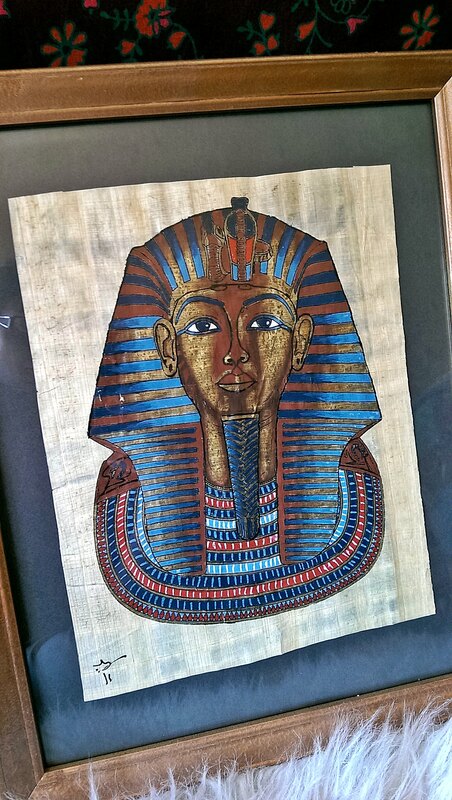 I loved looking at it and dreamed of visiting Egypt someday myself. 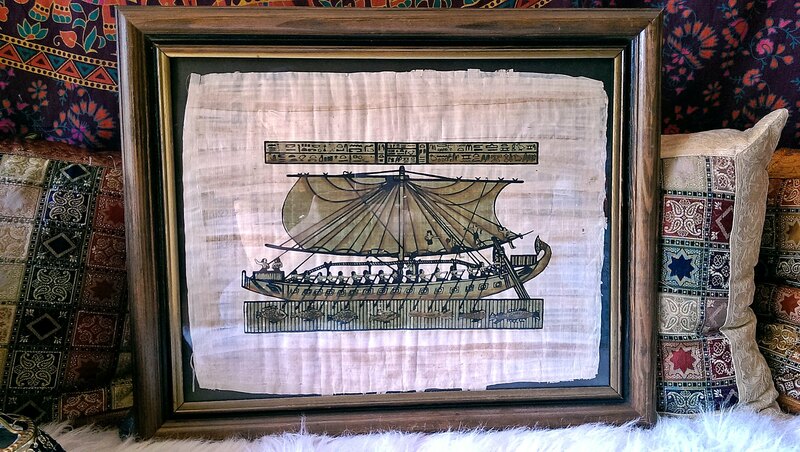 All of these papyrus are part of my collection. The ones unframed are not on display but hopefully someday soon they will be. 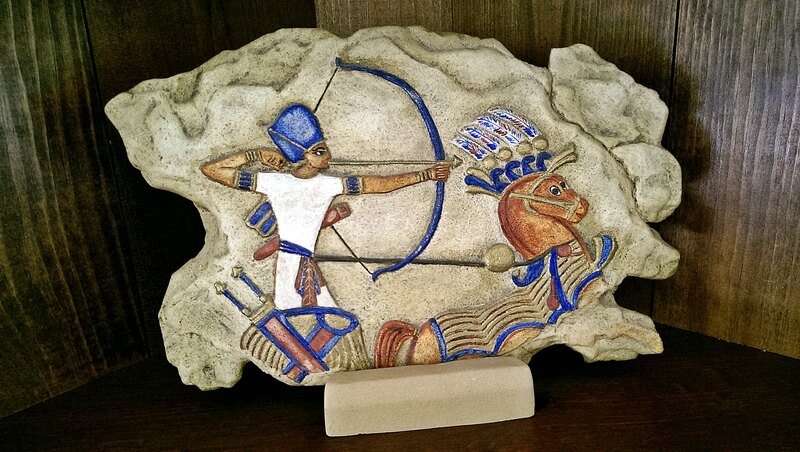 The Egyptian relief below was gifted to me by my Grandmother. 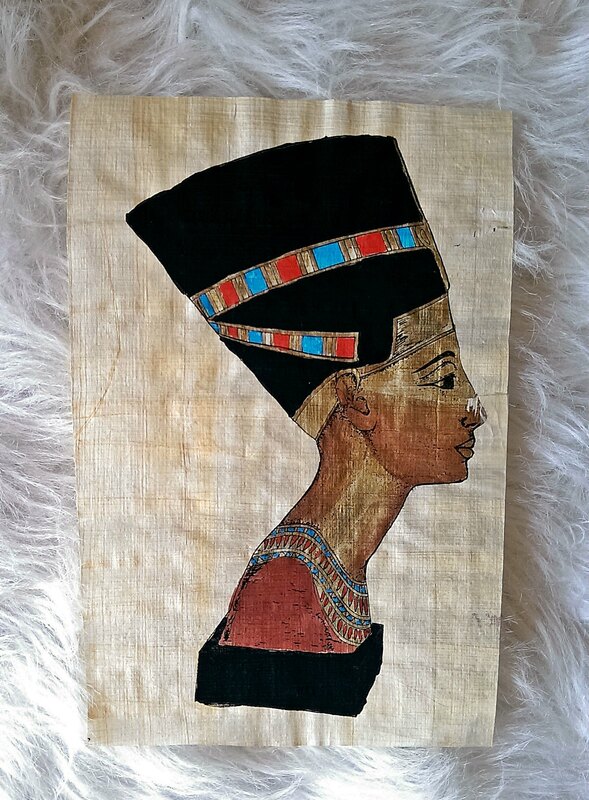 It was an item that she purchased on their trip to Egypt. 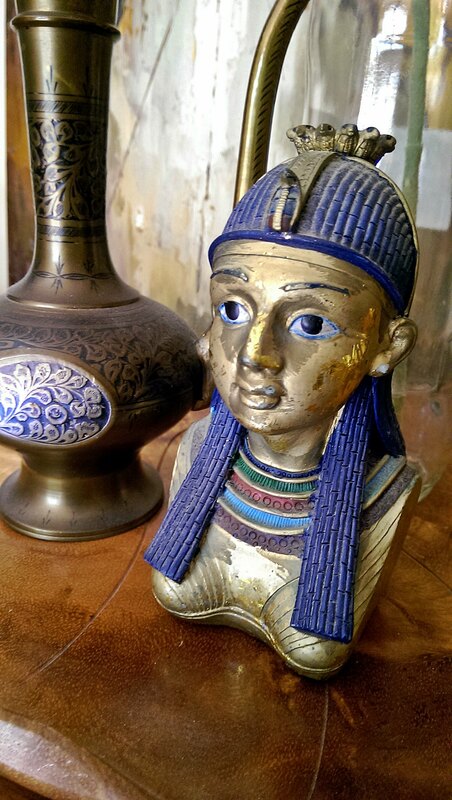 Lastly, just a small Egyptian bust that I have for decoration. I know this kind of art is not everyone’s cup of tea but I guess that is what makes us all unique. 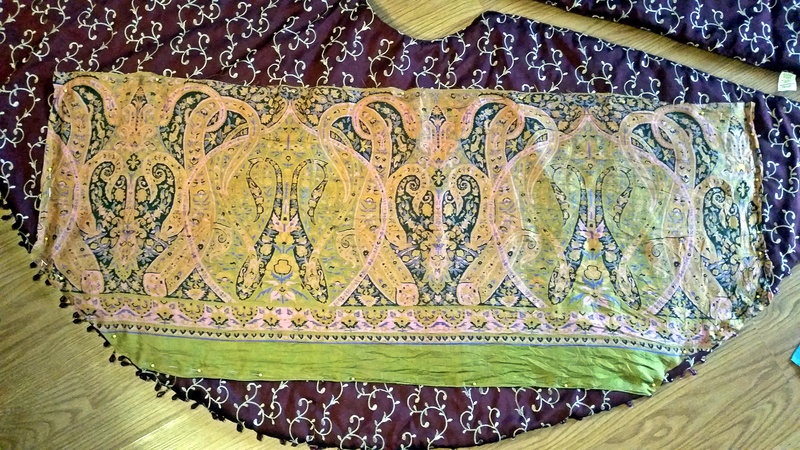 Do you have any interesting cultural related collections? Or different collections in general? I would love to hear about them. 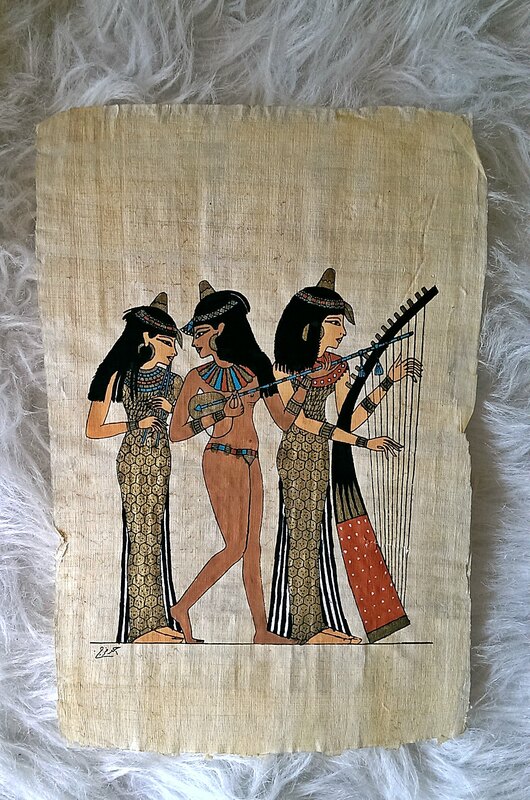 I thought it would be fun to share a few Egyptian related products over on Amazon that caught my fancy. 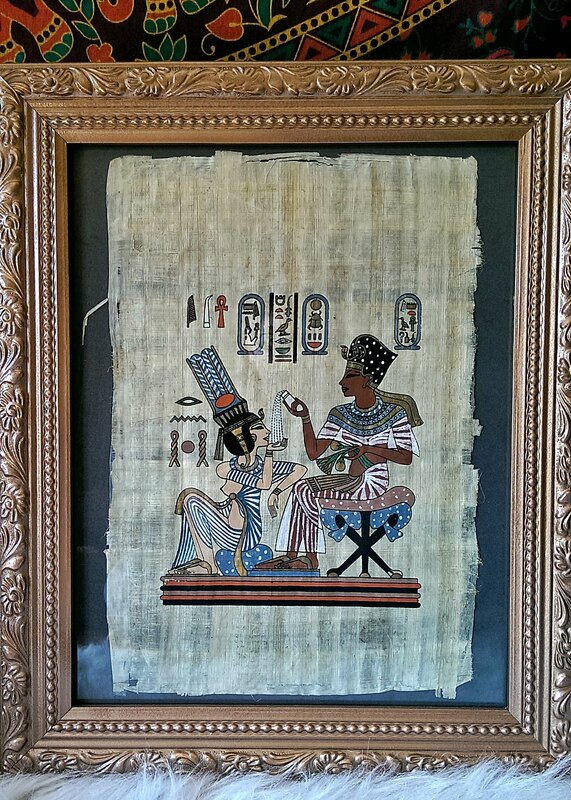 How cool is this…you can buy sheets of papyrus paper for crafting or to make your own paintings. 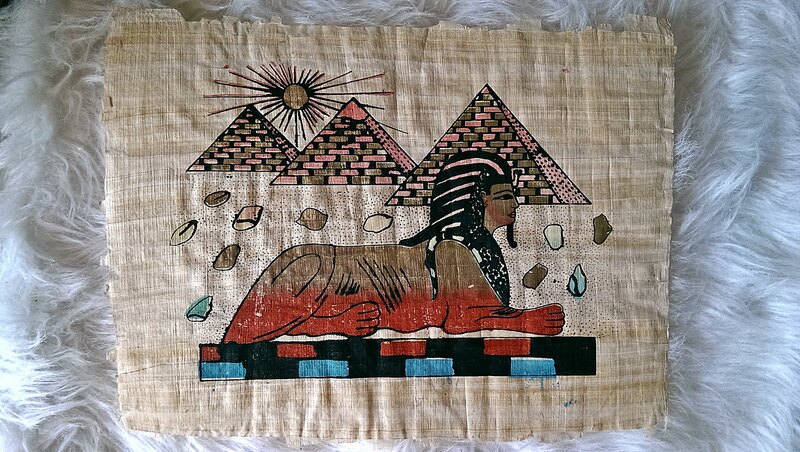 I just love this Papyrus. I may have to add it to my collection. Isn’t this the coolest shower curtain? 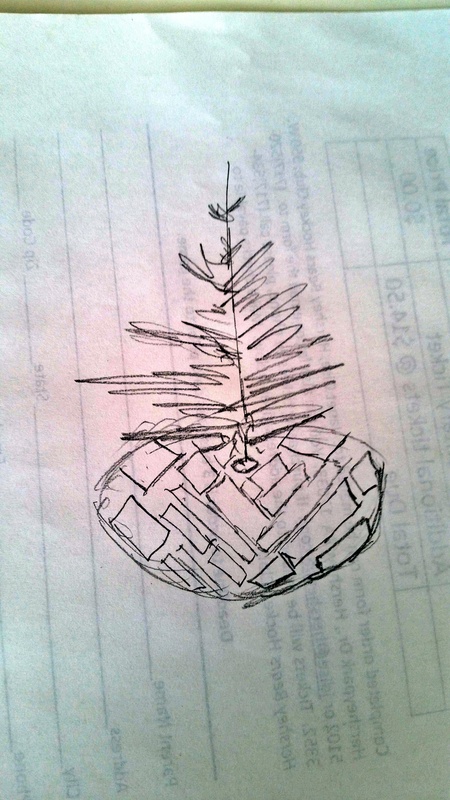 Recently, I have found a new hobby (hubby calls them obsessions). 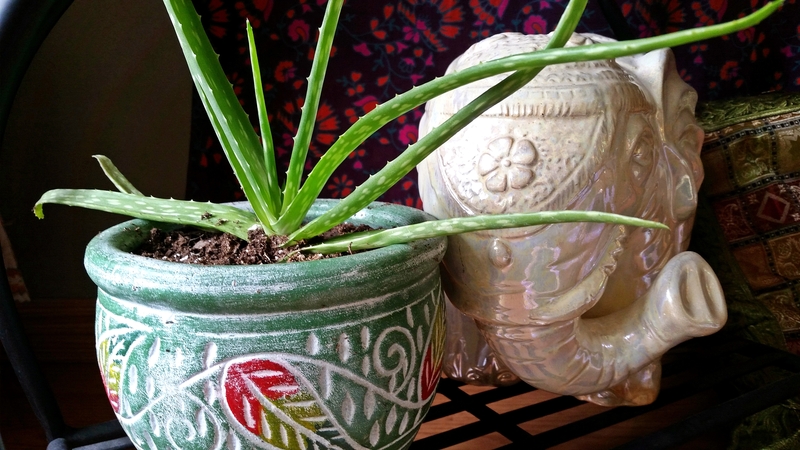 Houseplants. I mentioned in a previous post that my husband calls me the ‘Plant Hospice’ so this new hobby may be a bit surprising. I love this book, The New Bohemians: Cool and Collected Homes that I recently read. 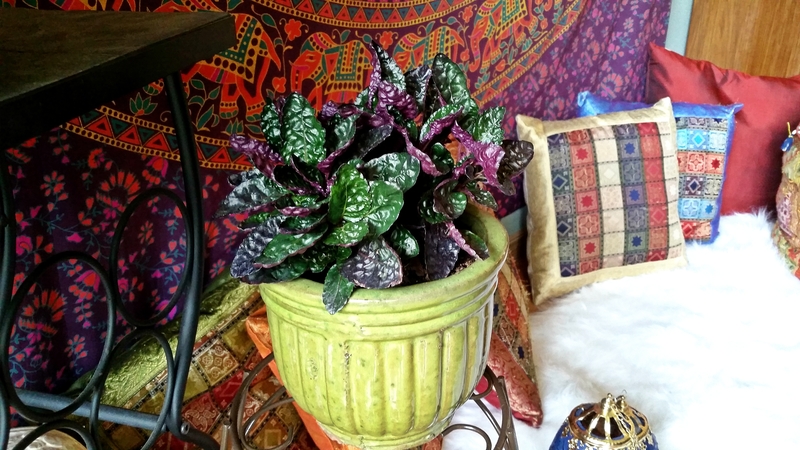 In this book, houseplants are used liberally as pieces of decor, which I found to be interesting especially since I haven’t had much success at keeping indoor plants alive. Outdoor plants is a entirely different story. Watering plants and reading the signs of what they need seems to be a art form, one of which I am slowly acquainting myself with. Last month, I visited a local green house to buy fruits and vegetables for my outdoor garden. While I was there the selection of indoor plants especially succulents was amazing. 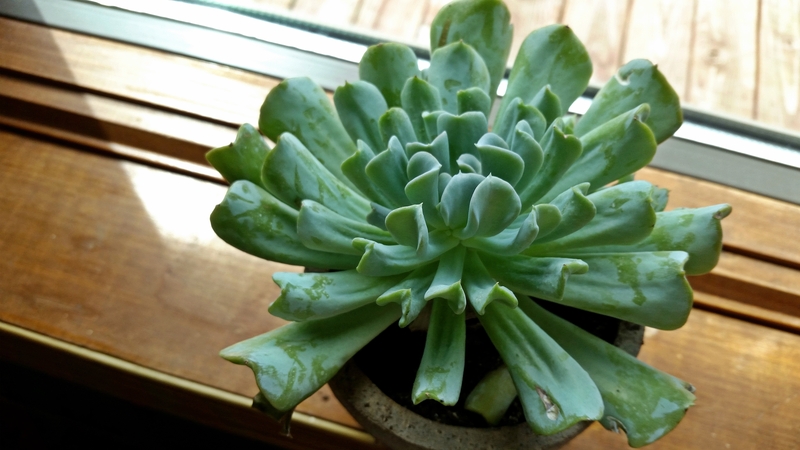 I figure, succulents are the hardest plant to kill because they are extremely drought tolerant so why not give it a go? 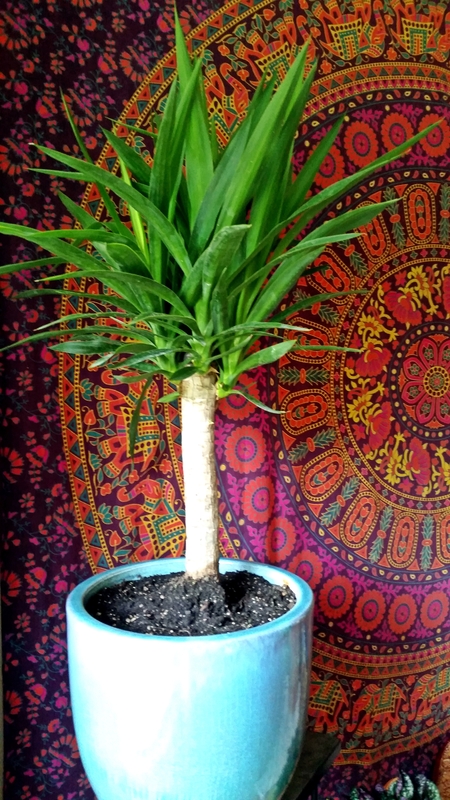 As of right now, all my indoor plants are still living and a few are thriving. 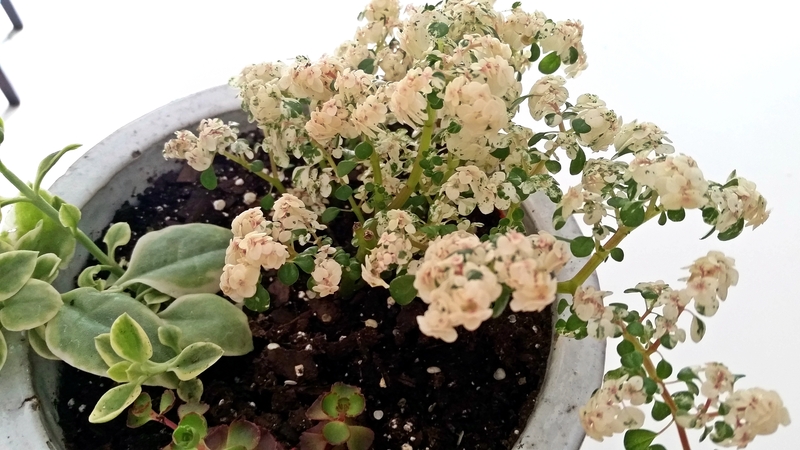 But a few of my succulents have started to shrivel up, turn yellow and have a hint of crispiness (under watering?). I feel like no matter what, I can’t win. 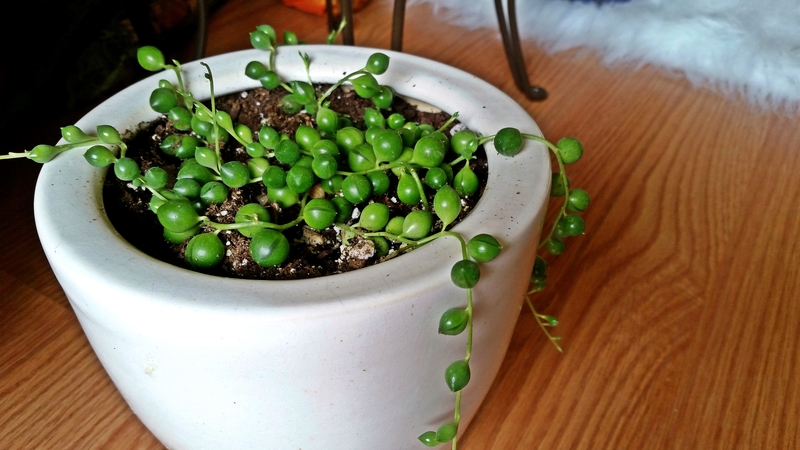 I cut back on the watering so I don’t over water and I end up under watering them. 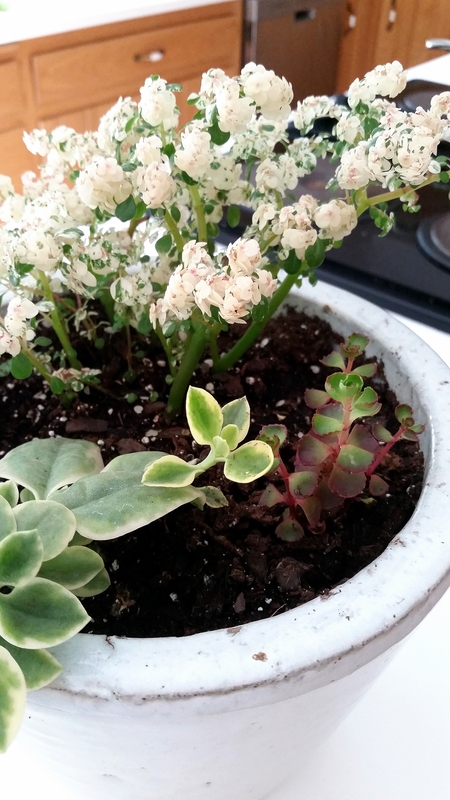 One of these days I will hopefully get the hang of this houseplant thing before they all die. 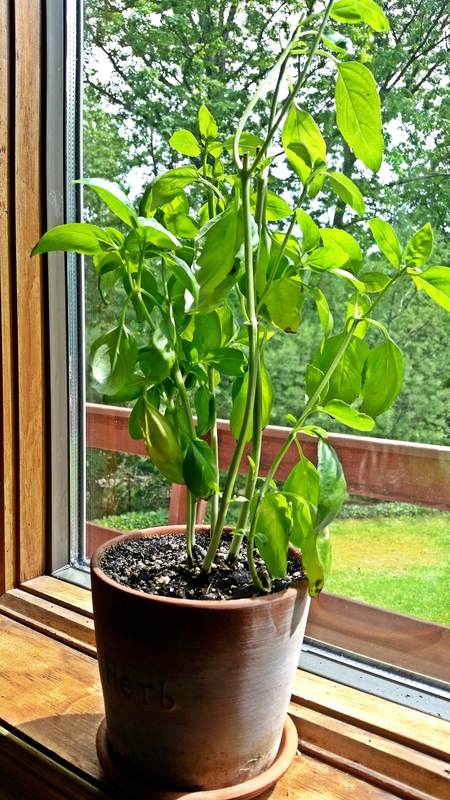 Do you have any tips on keeping your houseplants alive? 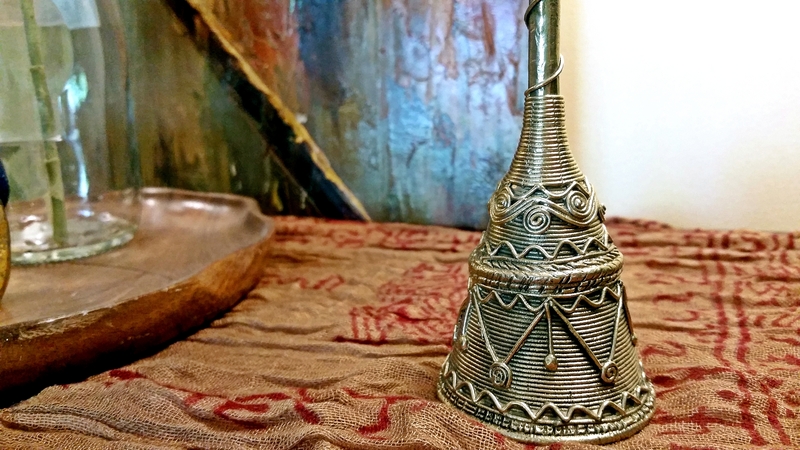 *NOTE: Since writing this post I have found out that these beautiful engraved brass pots are called ‘Surahi‘, a drinking vessel used to store water. 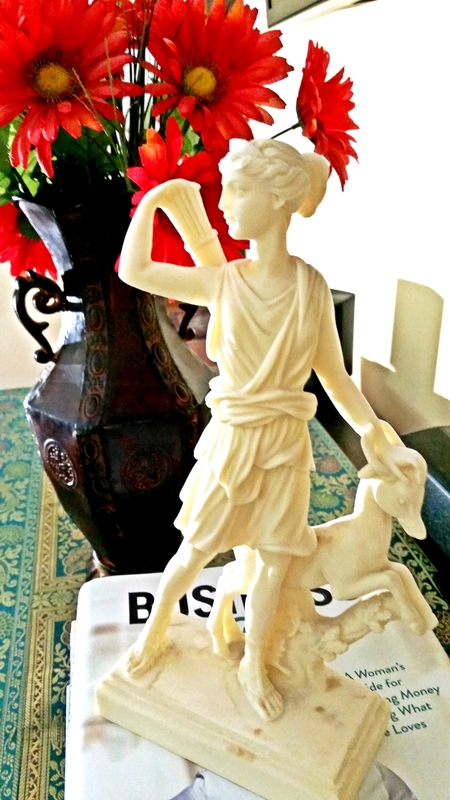 I started my collection two years ago when I was browsing a local antique market with my hubby. 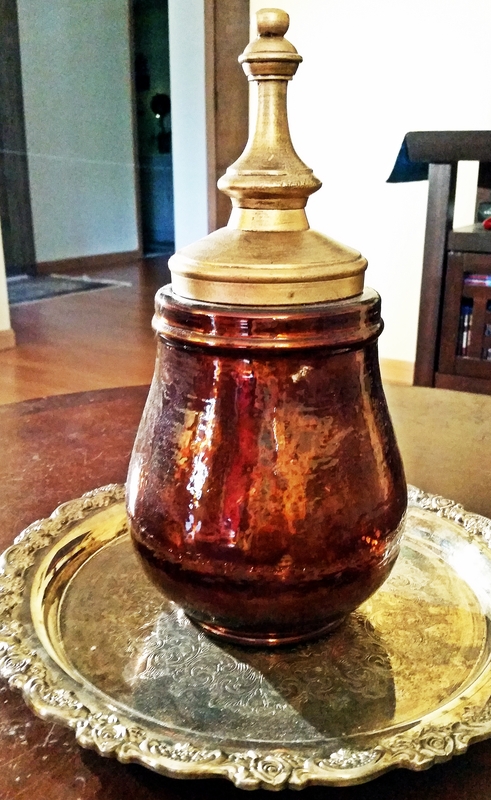 It is no secret that I love pretty conversational pieces originating from the Middle East so when I saw this beautiful brass pot labeled ‘Indian Wine Pot,’ I knew I had to have it with a price tag of only $18. Of course, I would have preferred to walk out with the larger version as well for $27, but I was on a budget so the smaller size would have to do. My wonderful husband didn’t discourage me especially since he decided to buy a higher priced ticket item. When I got home I was so excited to display my authentic ‘Indian Wine Pot’ that I purchased for a bargain. Or so I thought. Who Hit the Jackpot? I DID!!! Almost a year later, I made my weekly visit to Goodwill and guess what I found? Yes! Another authentic Indian Surahi!! Not only was it in excellent shape but it was a good inch or so taller than the one I already owned. I turned it upside down to look at the price knowing that it didn’t matter because I was leaving with it in my possession no matter what. It read $5.97! 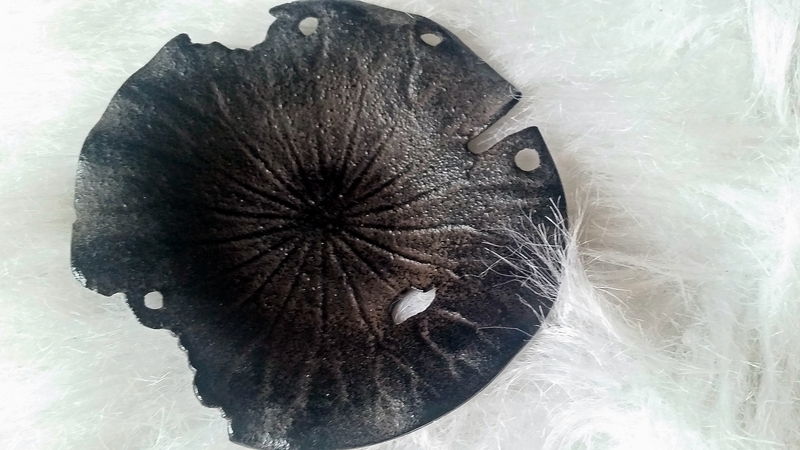 I couldn’t believe that I discovered an amazing deal especially in a small, country town where everyone is pretty much into Primitive Decor (willow trees, barn stars, sheep and Americana). I was seriously trying not to do a little jig where I was standing. Looking around around me, I couldn’t believe all those people had walked by that shelf and not given that lonely, gorgeous pot the time of day. Later on while checking out, one of the employees at Goodwill who knew me, commented on how I always buy the most unusual things. I’ll take that as a compliment. Not Just Once, But Twice! Here we are almost another year later and I made a spontaneous visit to Goodwill. I say spontaneous because at the moment we are trying to become debt free on our house. Not to mention, that my husband will be unemployed within the year so we have cut all unnecessary spending. So, I am in Goodwill and I found this amazing set: 6 miniature wine cups, a tray and a pot. The whole set cost less than my original antique find! Considering that I had not stepped foot in Goodwill for almost 6 months and that they rotate out their shelves so frequently, it is a wonder that I showed up when this particular item was out. I guess it just really wanted to come home with me. 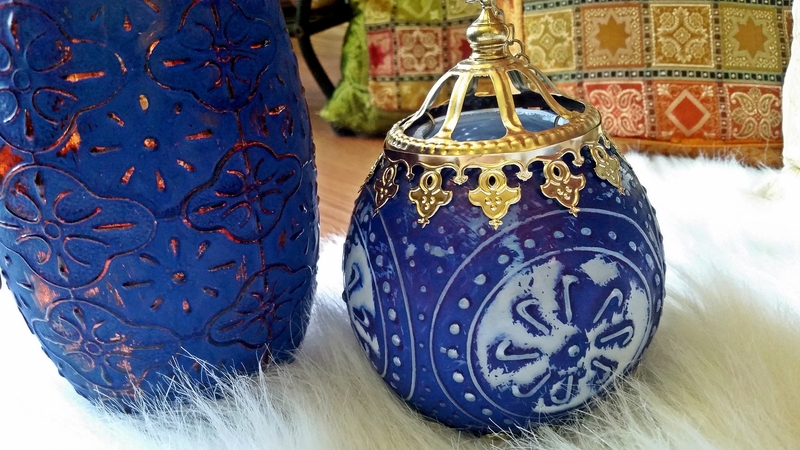 I am not sure why I am so drawn to these pots, but I imagine it has something to do with my love of Indian Decor and tea (as it resembles a tea pot). 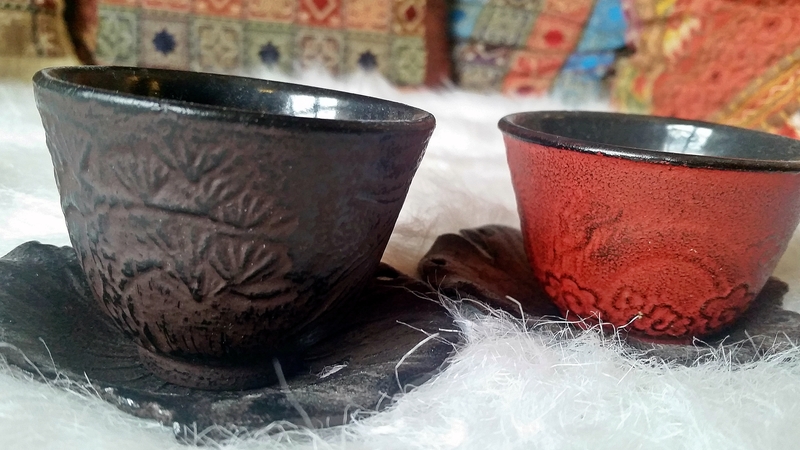 My tea pot collection is inspired mainly by Asian Pottery but I love the beautiful, long spouts that these pots have. And isn’t that engraved brass so elegant? What kinds of collections do you have? Are any of them globally inspired? Growing up, I always would drink a hot cup of tea with my mother, no matter the season or outside temperature. My mom would always tell me how she wanted me to stay single so I could stay home and have tea parties with her. Well, I didn’t stay single but I certainly took up her love of tea and teapots! 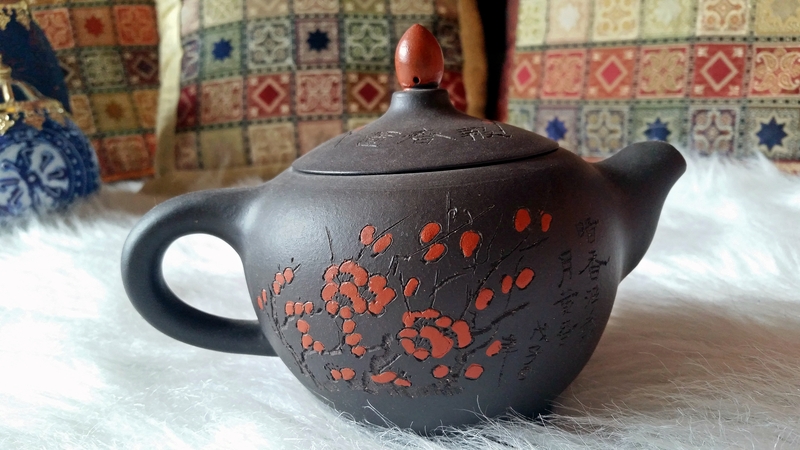 While the majority of my teapot collection is Yixing clay teapots, her collection consists mostly of vintage tea/coffee pots with a floral motif. This china cabinet (above), was a gift from my Grandmother. Isn’t it beautiful? I keep all my teapots and accessories stored here. 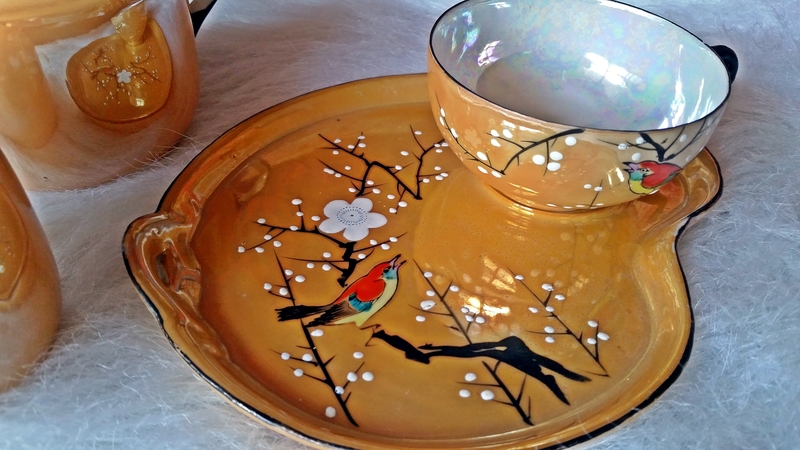 This beautiful set of Lusterware I acquired from a nearby flea/antique mall. I am unsure of the manufacturer for this set but I did find out that these artist palette shaped plates are luncheon plates. The cups match and have a fabulous pearl-like sheen. 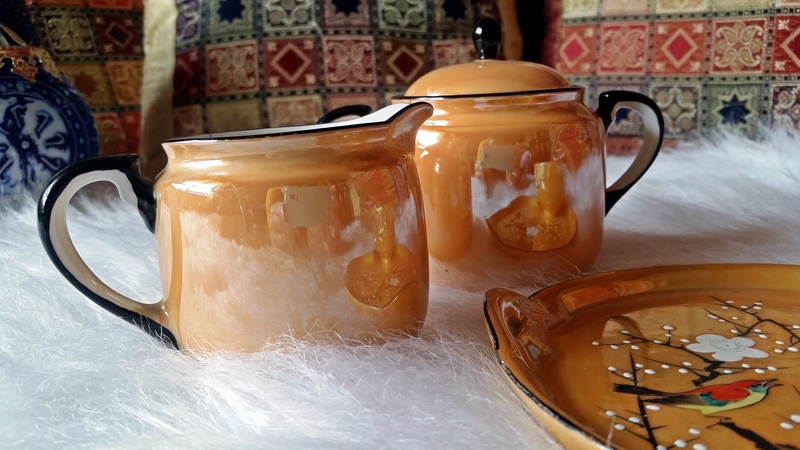 I bought the creamer and sugar bowls with the tea cups and luncheon plates at a flea market thinking they were a set. 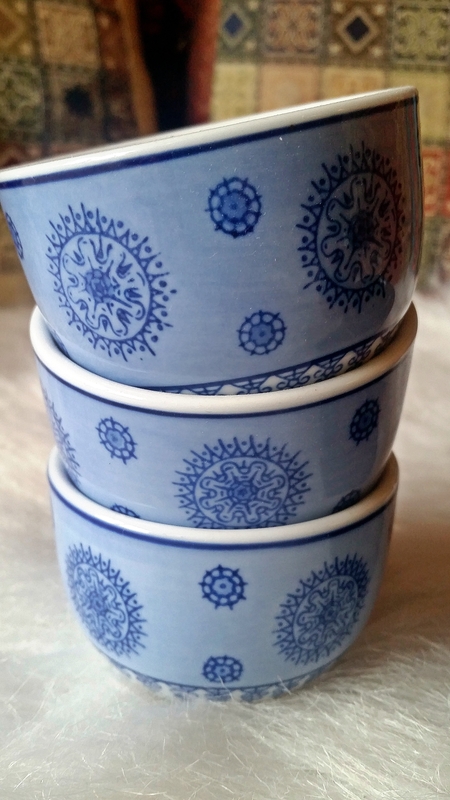 Unfortunately, I don’t think they are a matching set because the plates and cups are without markings and the creamer and sugar bowls are marked Nortake. I received this tea set from my parents upon graduation from high school. 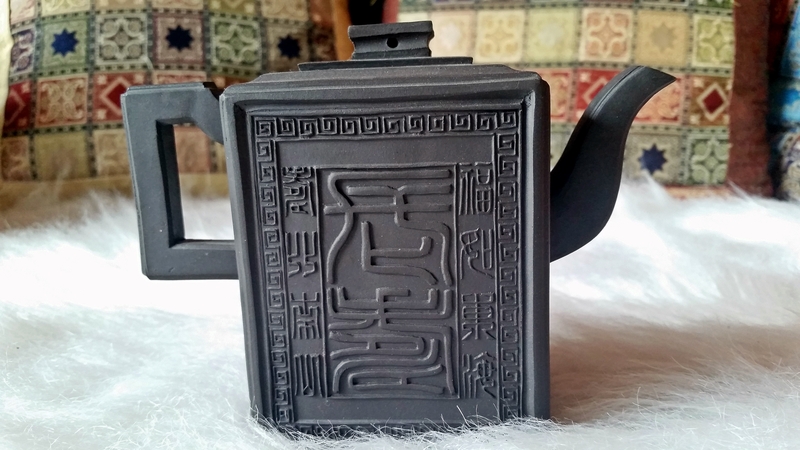 It is a lovely Yixing teapot with a internal strainer that has different scenes painted on the front and back. My favorite feature is the four, very delicate square cups that match. 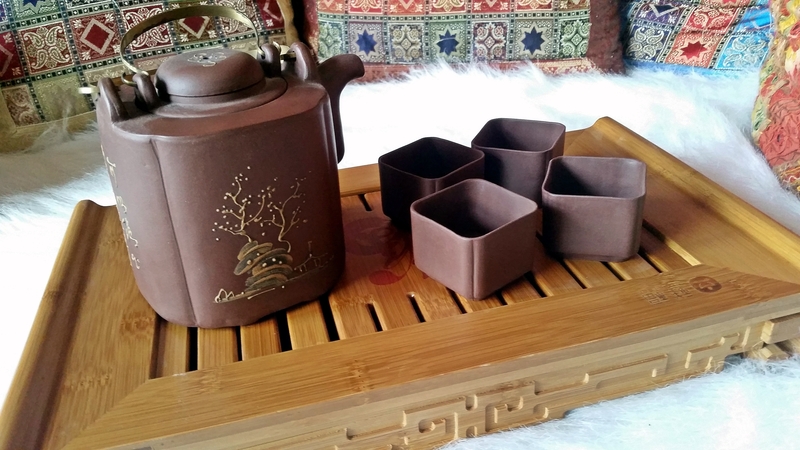 The Bamboo Gongfu Tea Tray was a gift from my best friend that can be used in ceremonial tea. 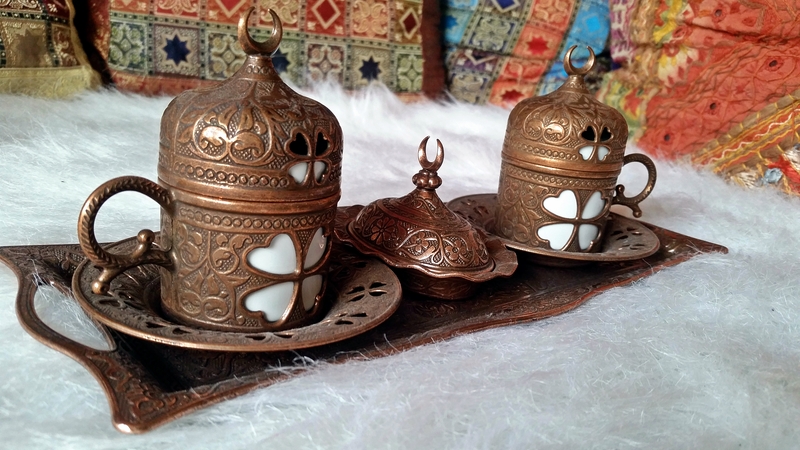 This Turkish Coffee Serving Set is one of my absolute favorite pieces! My SIL gave this to me for Christmas (she knows exactly what I like) last year and I can’t get over the beautiful details and miniature size. And just look at that cute dish for Turkish Delight! It may only fit one piece of candy but lets face it, this is probably the best invention ever when it comes to portion control. 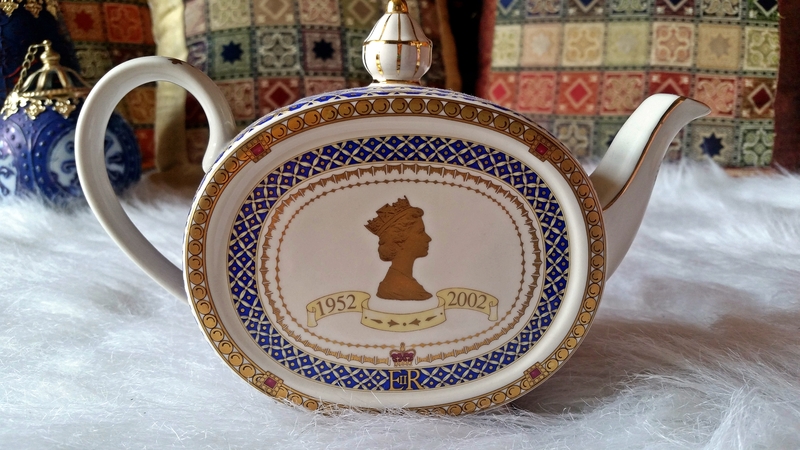 The Commemorative Coronation Teapot was made to celebrate Queen Elizabeth’s 50 year Reign. My parents were over in England at the time and brought back this teapot for my Grandmother. She has since passed on and now the teapot is mine. 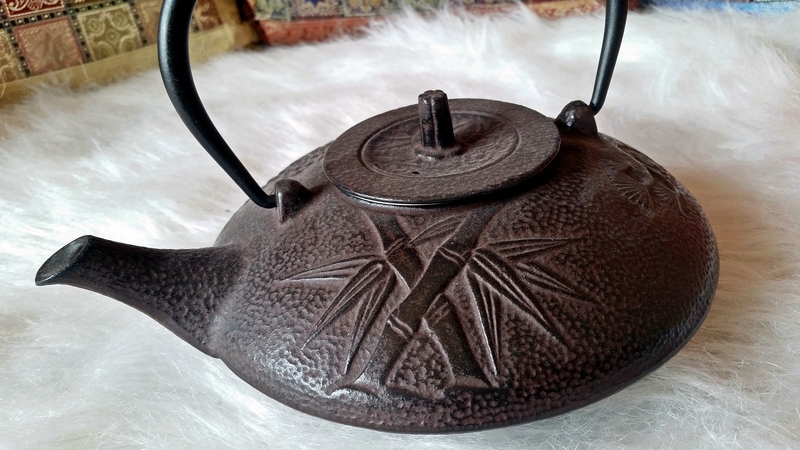 I always wanted a cast iron teapot and this one was gifted to me by a friend. 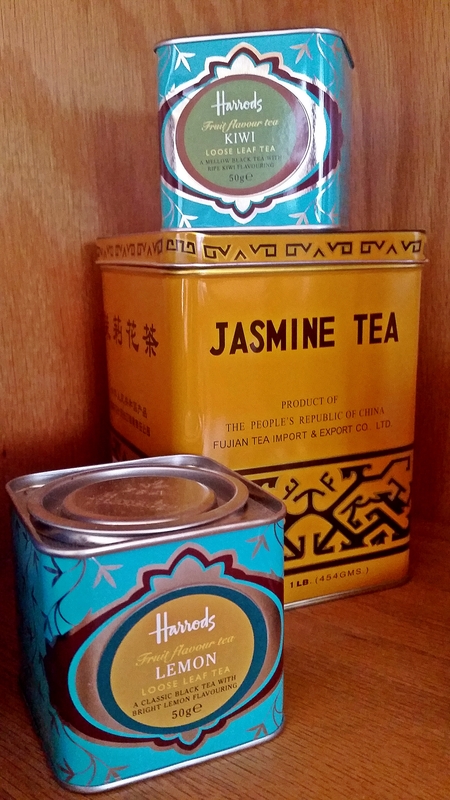 It is quite heavy but very sturdy and perfect for a pot of tea with friends. I love that it can be heated on the stove. 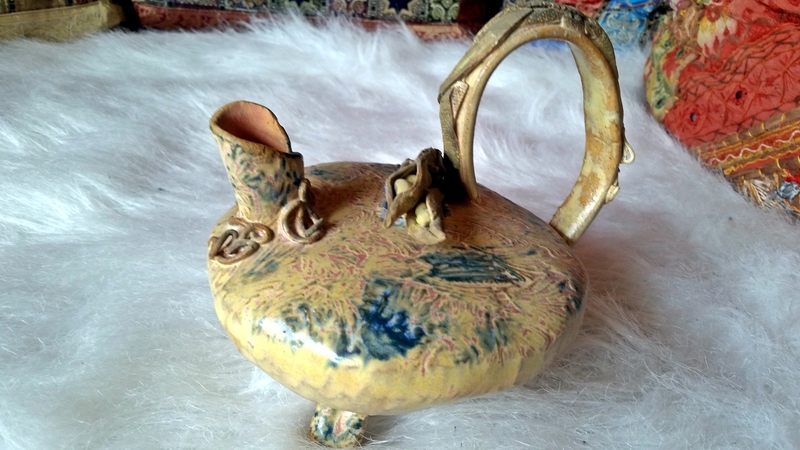 I bought this teapot in Maryland at a fine art gallery while on vacation. I took a fancy to this teapot and thought that there was no way I would be able to afford anything in the gallery but of course I turned the pot over to see the price. I couldn’t make out the numbers so I asked the sales lady. She couldn’t make the price out either so she gave it to me for what it looked like. Wait for it…. $15. 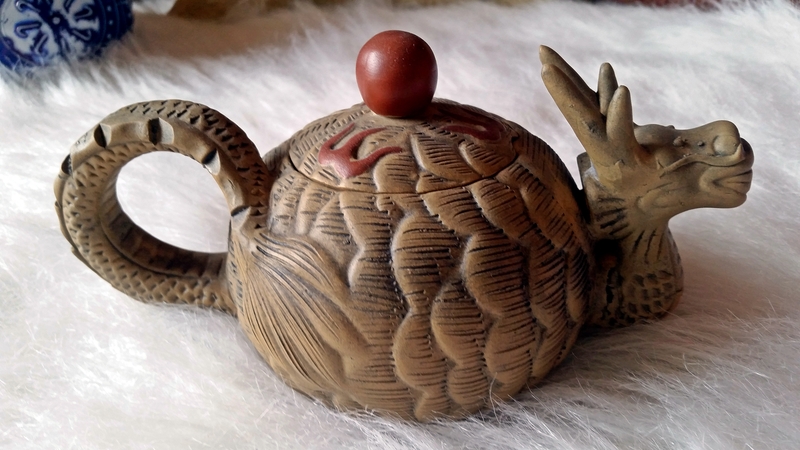 Ummm…yeah, I’ll take a one of a kind teapot in a fine art gallery for $15!! The next day I decided to meander into that gallery again in case they had anymore amazing teapots at a fabulous price. I turned over a few teapots by the artist of the teapot I bought the previous day and every single teapot was $125 or more. Needless to say, I think the price was supposed to be $150. I left the gallery with a bounce in my step but also feeling sorry for the artist that someone botched up her price tag and cost her a few dollars. 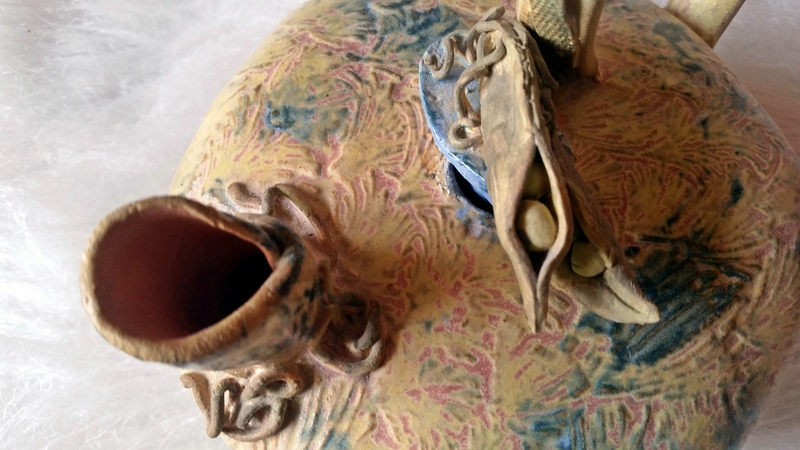 A close up of the unique details and pea pods on the lid. Another Yixing teapot but this one is miniature. I am unsure as to the name of this teapot but this one is from Teavana. 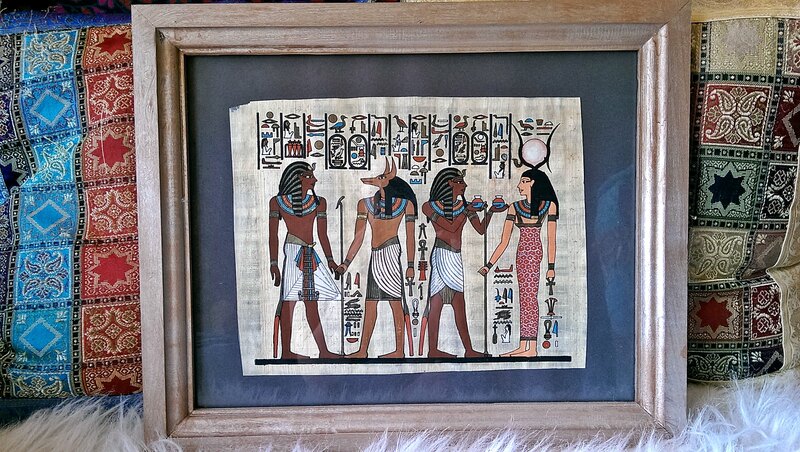 My hubby bought this for my birthday when we were first married. It has lovely cast iron tea cups in red to match. 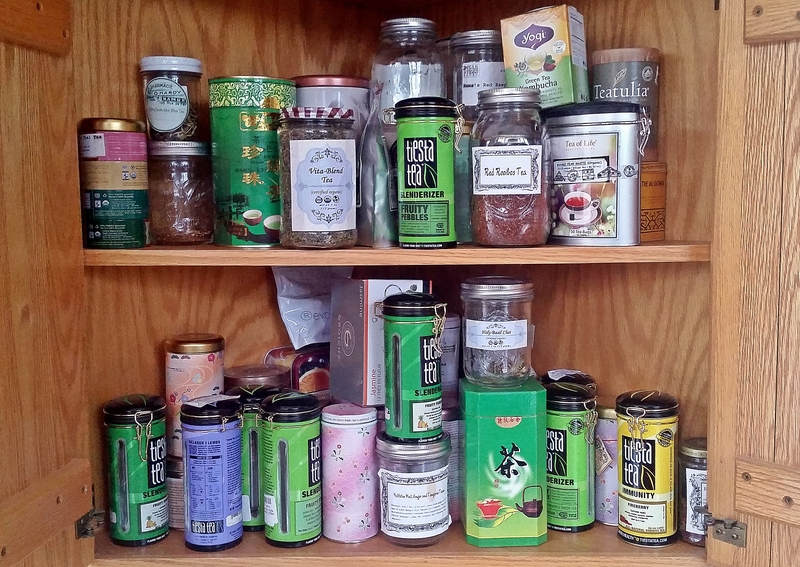 Of course, if I am going to show you my teapot collection I must show my tea stash. It is a bit unorganized due to much use. Most of my tea is loose, the rest is in bags and some of it I blended myself. 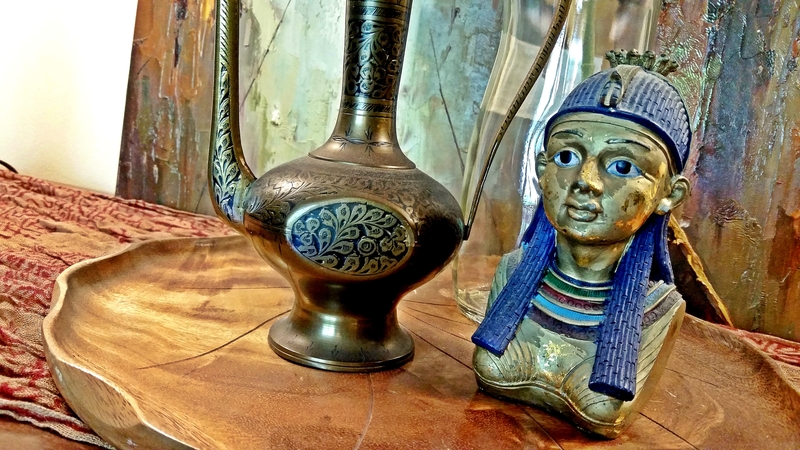 If you read my recent book reviews on The New Bohemians: Cool and Collected Homes and Marrakesh By Design you will see a lot of design elements from the Bohemian style as well as Indian elements in my living room. I am linking to products that I purchased online in case you want to check them out. So, grab a cup of tea or coffee and enjoy the pictures. 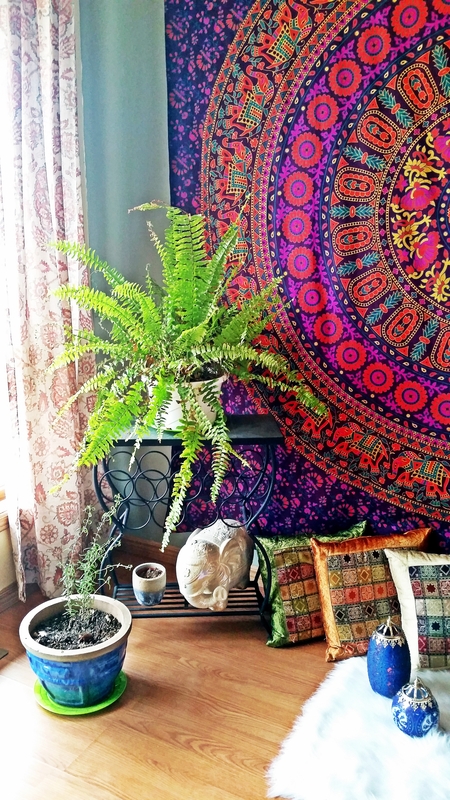 I am starting out with my favorite spot in our living room, the “Moroccan Sitting Area.” I have a nice faux fur rug, Handmade Decorative Cushion Covers , Indian pouf ottoman cover, Tapestry , a ceramic elephant, a fern and some rosemary. My oldest loves to sit on the ottoman while doing his reading homework and watching movies. 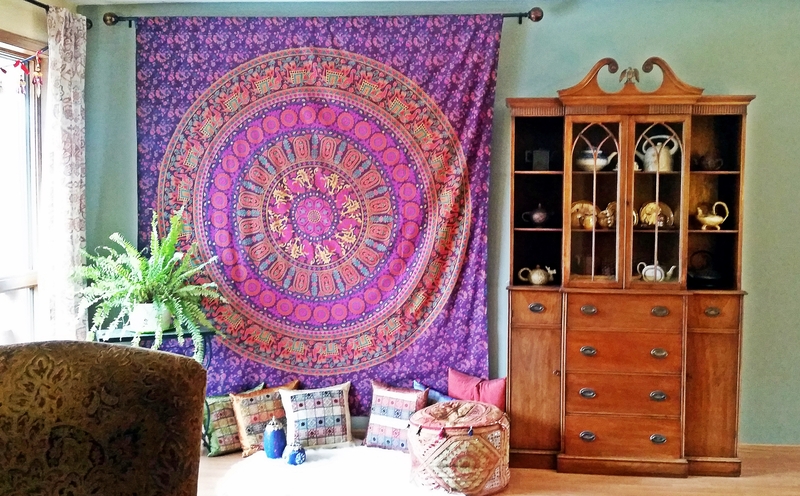 Because he moves all the pillows around to support his back and feet I have dubbed him my “Little Sultan.” If you are interested in learning how to hang a wall tapestry, my hubby has a tutorial HERE, on his blog. 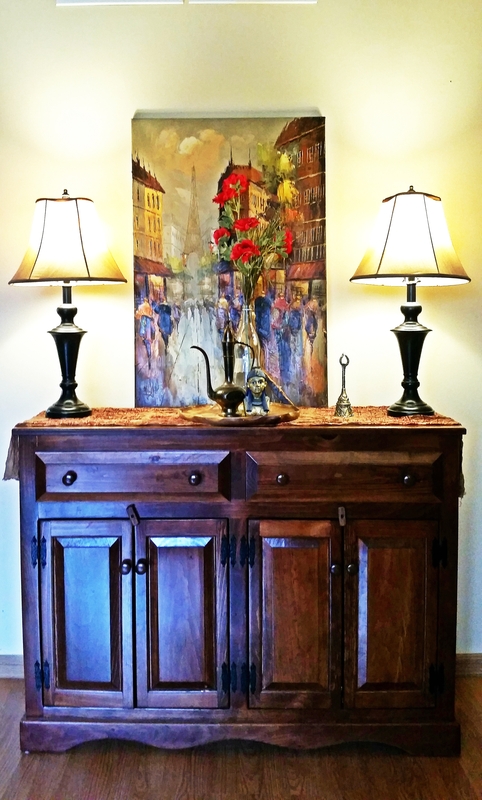 We had this buffet made here in Pennsylvania by a cabinet maker. On top I have a pair of Better Homes and Garden Lamps (Walmart), painting (Target clearance for $20), a scarf from Mexico, Wooden Leaf Tray made in Hawaii (Goodwill), antique wine pot (Flea Market), Indian Brass Bell (Ten Thousand Villages), Egyptian Bust Ornament (gift) and a recycled beverage container with silk flowers. 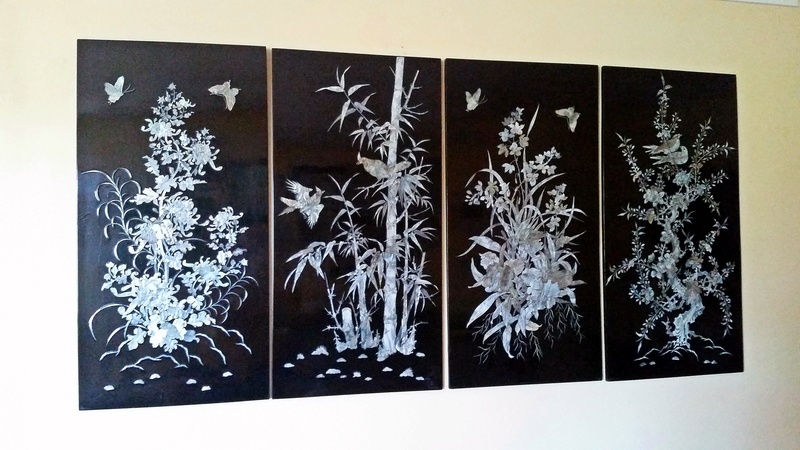 The 4 season Asian Panels were a gift from my Grandmother. She turned 96 this year and gave away most of her furniture and belongings because she moved in with her daughter. 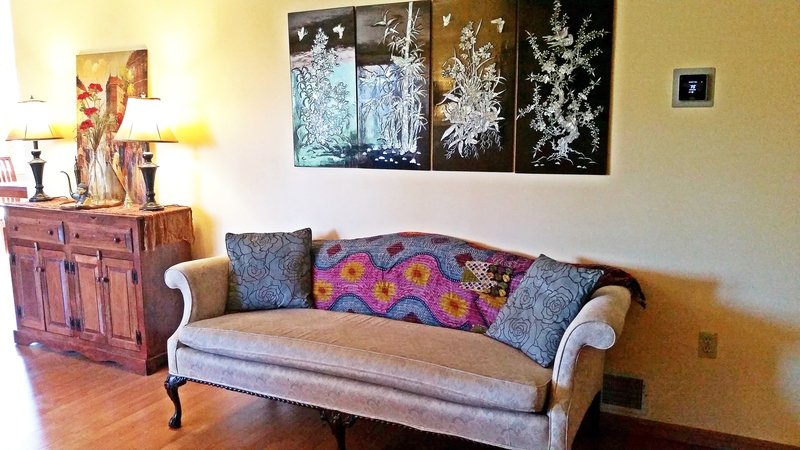 I was blessed to inherit these beautiful panels and this Chippendale sofa. 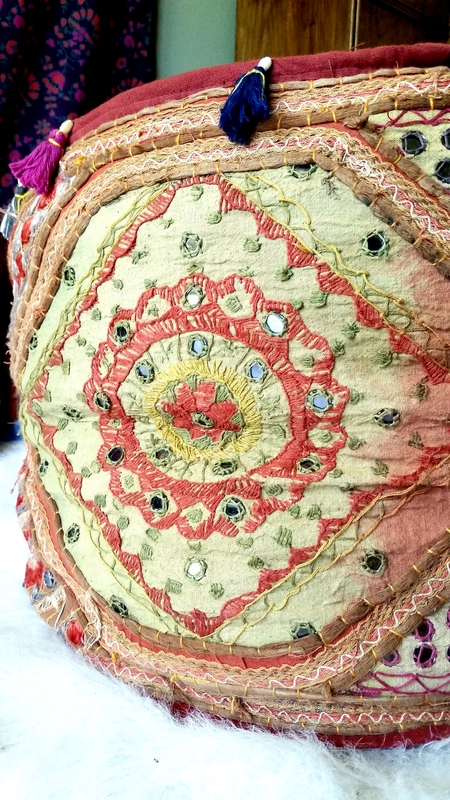 Over the back of the sofa I have a Vintage Tribal Kantha Quilt that is tucked into the sides. 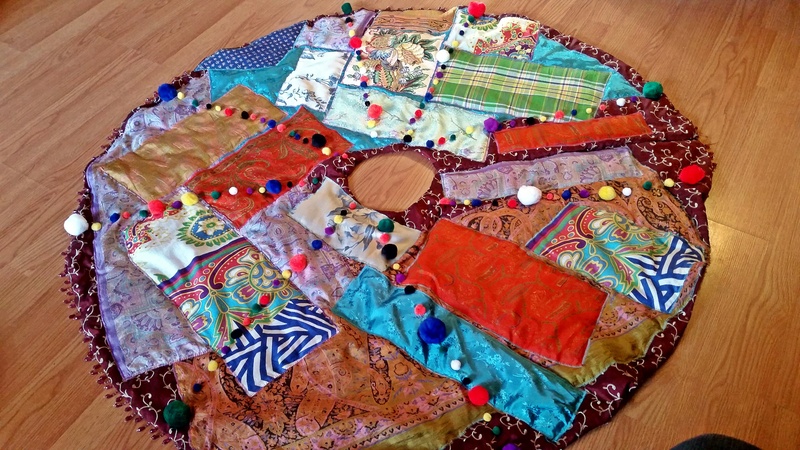 I recently purchased this set of 5 kantha quilts and scattered them around the house. 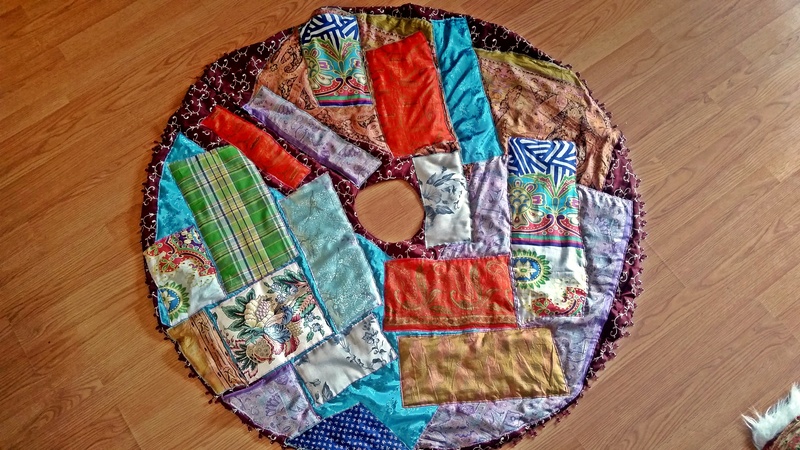 I ordered a quilt last year but it never arrived from India so when this set arrived at my house I literally danced around the house! 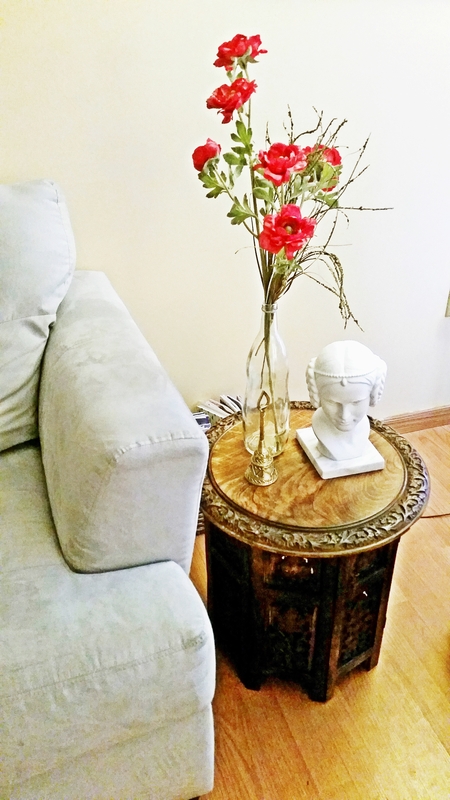 I just bought this Solid Wood Hand Carved Accent Table . It is the perfect size for a sofa side table. 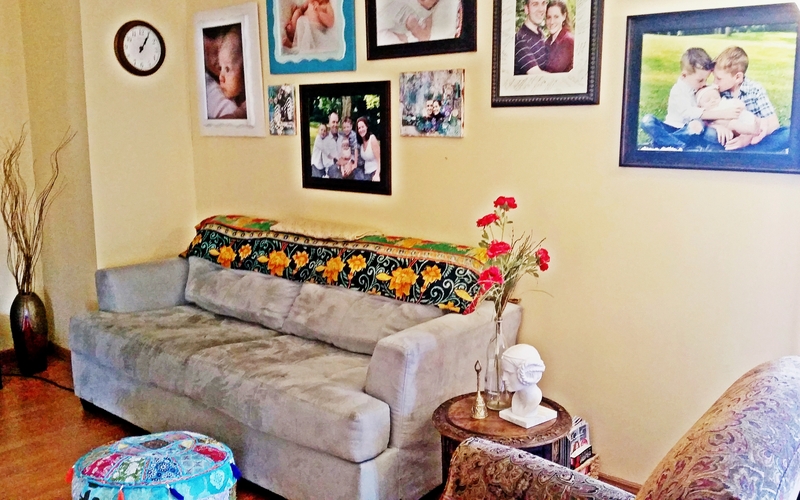 A view of my gallery wall with pictures of my babies. 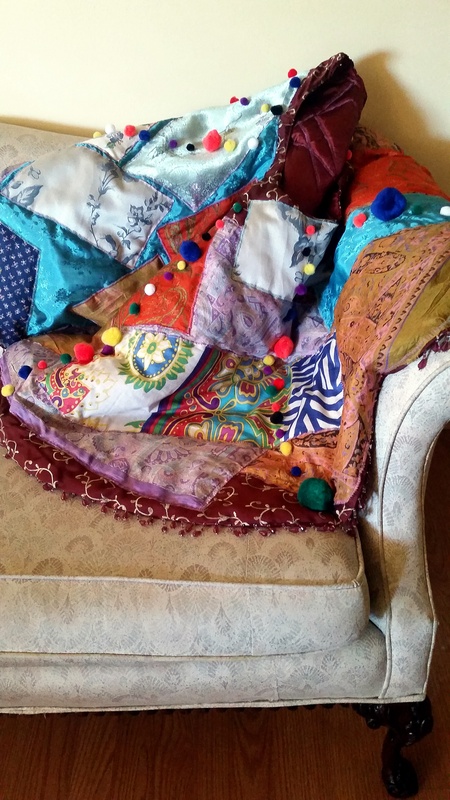 Over the back of my very comfy couch I have a thrown a Kantha quilt for added color and pattern. Not the best lighting for this room as it is rather dark. 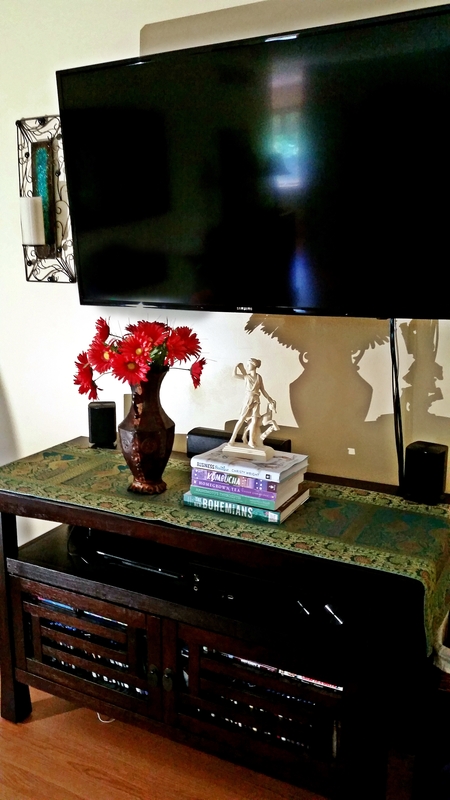 Our media center (World Market) is a simple Asian design that we love. The wall scones (Pier 1 Imports) are really pretty and sparkly but I wish they were electric. The candles are not very secure so I would never light them. Definitely a fire hazard. I bought this silver tray at a estate sale for $3 and I cleaned it using a easy technique I found on Pinterest. I found this urn at Home Goods in the clearance isle. Love their clearance prices! When we lived in New York we had a Tuesday Morning that I frequented almost every week. I was working at the time so I was able to splurge a bit. 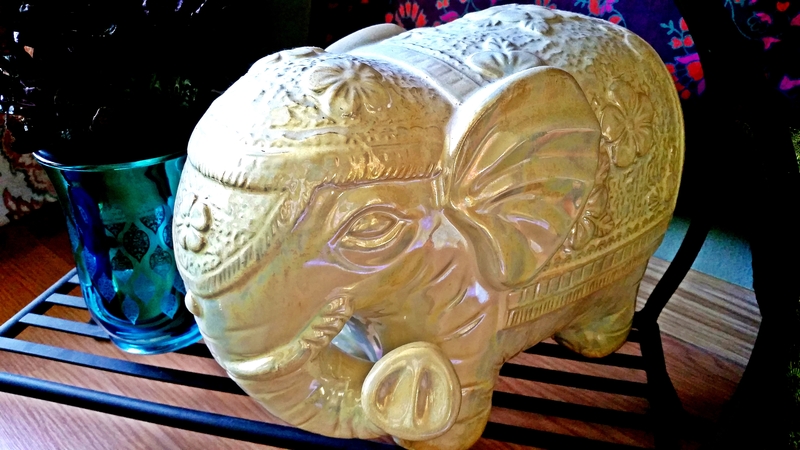 Several of the items I still have, including this iridescent elephant. Another view of my favorite spot. 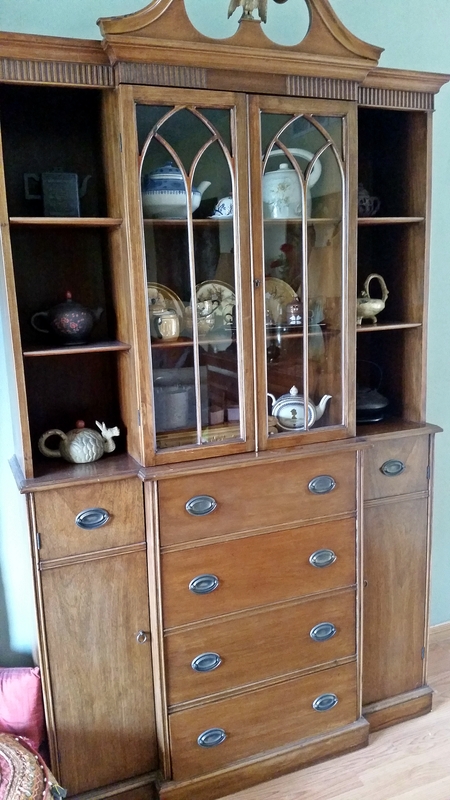 Next to it is a lovely antique china cabinet that I also inherited from my grandmother. 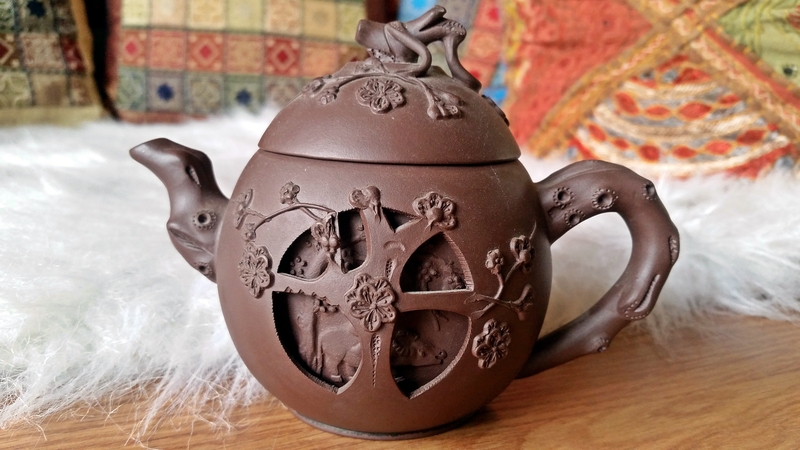 It houses my teapot collection which I will show you in another post! 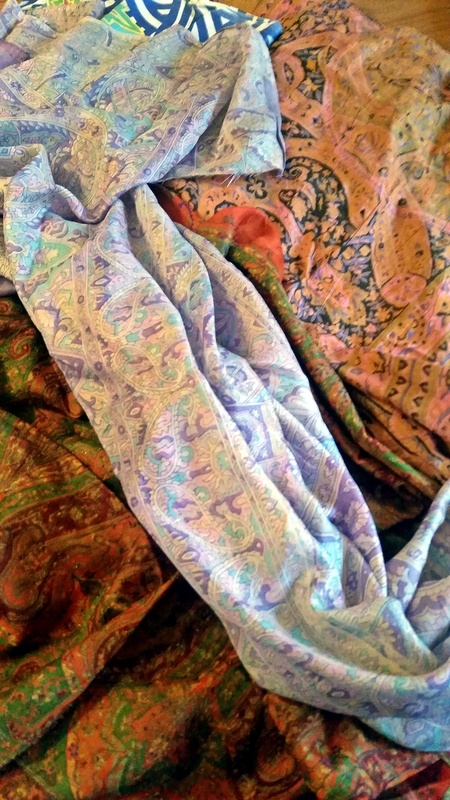 I started out with some beautiful Sari fabric that I bought off of Ebay. 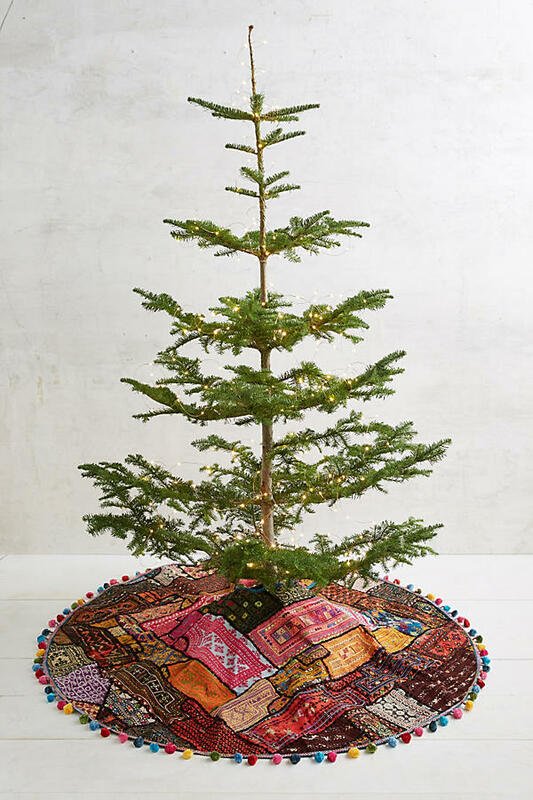 I used this tree skirt as a the base onto which I sewed my fabric. 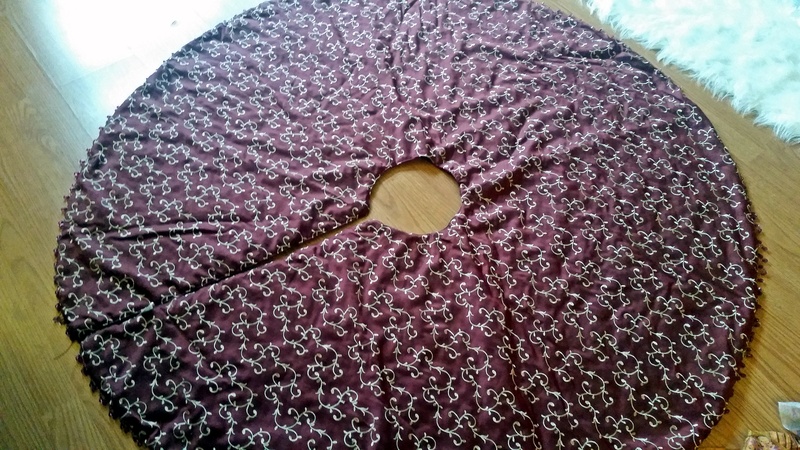 I cut a large piece off fabric, pinned it down and used a embroidery stitch on my machine to sew the fabric to the base. After all my fabric pieces were added. 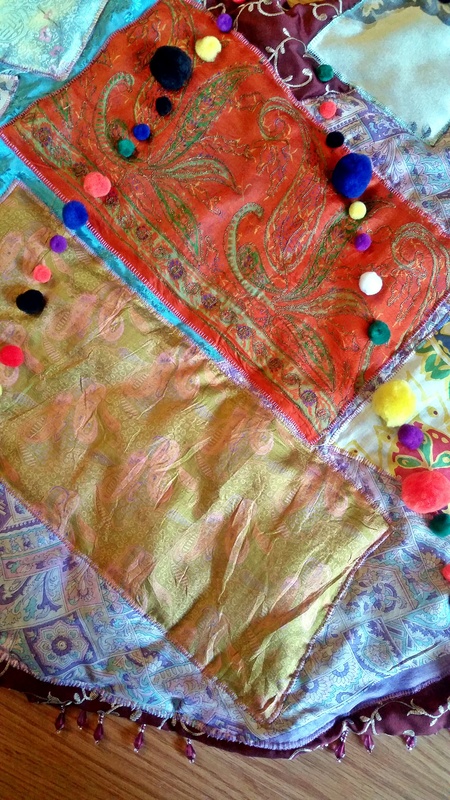 At the end, I decided I to add some pom poms for embellishment. I have had this book on my Amazon wish list for several years. This Christmas I got smart and moved the priority of this book to high. My hubby always gets me gifts based on how I prioritize them. Global decor specifically centering around Asian, Moroccan and Indian elements has been a interest of mine for a while so this book appeared to be right up my alley based on the cover picture and description. The New Bohemians: Cool and Collected Homes By Justina Blakeney is a book about Bohemian decor, which includes a lot of bold color, texture, and patterns (do you see why I like this?) with natural elements such as house plants, wood accents and natural fibers. I Loved the amount of photos included and that many of them were a full page. The author takes several inspirational living spaces, interviews the decorator/home owner and zeros in on details about the space. She chooses 5-7 elements from each space and wraps up the section by giving the reader ideas on incorporating them into their space. There are even a handful of DIY projects with photographs and written directions. I was so pleased with this book that I walked away from it teeming with new ideas. 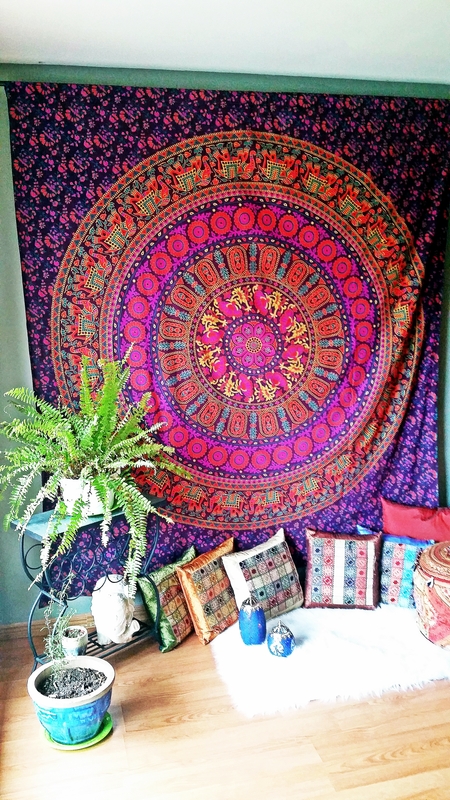 If you like Bohemian decor or inspirational decorating books this one is for you! Subscribe below to recieve post updates. I love comments so feel free to leave one and thank you for visiting! As of December 1, 2009, new FTC guidelines went into effect requiring bloggers to disclose any time they are compensated for endorsing or reviewing products or services. I serve on design teams, participate in affiliate advertising programs (Amazon; Stampington) and in various social media sites where I post projects containing components I have received for free, have been compensated for or received perks in return for posts on this blog. While this may be the case, I would never endorse or mislead you, my readers, by stating an opinion about any product that I did not wholeheartedly believe. Please feel free to ask any questions you may have about any post or product I use in any of my projects.